Stack’s Bowers Galleries is pleased to announce a complete rebuild and relaunch of their online Auction Archives, available at archive.stacksbowers.com. 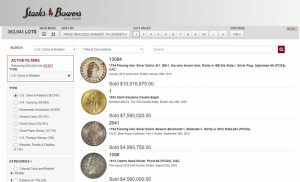 The site now features nearly 650,000 past auction records, including many Stack’s and American Numismatic Rarities sales dating back to 2002, which have not been available before. "We invite everyone with an interest in numismatics and numismatic research to visit our site and explore their new access to this extremely important historical information," commented Brian Kendrella, company president. "At Stack’s Bowers Galleries, we continue to work toward providing the best client interface and best personal service in the hobby." 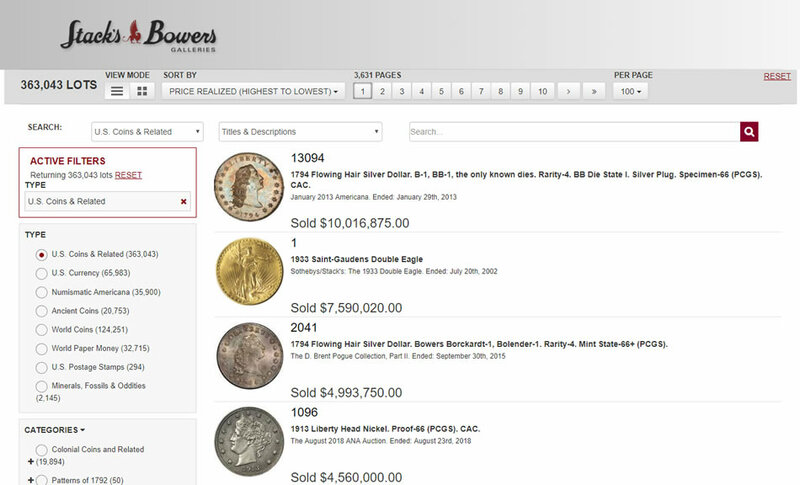 Added to the archives are famous auctions such as the Oliver Jung Collection (2004), the Frog Run Farm Collection (2004), the Louis E. Eliasberg, Sr. Collection of World Gold Coins (2005), the Cardinal Collection/A Gentleman’s Collection (2005), the Norweb Collection (2006), the Keusch, Snow & Del Zorro Collections (2008), the Philadelphia Americana Sale (2010), and the John J. Ford Collection Parts V to XXI, as well as many others. Thousands of stunning high resolution images have also been added, allowing for close examination of auction lots. Stack’s Bowers Galleries is constantly adding to the archive as more data becomes available.